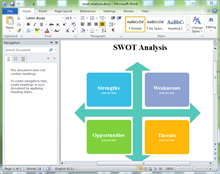 SWOT is a common tool for understanding and decision-making for all sorts of situations in business and organizations. SWOT shorts for Strengths, Weaknesses, Opportunities, Threats. The four factors are usually displayed in one diagram for people to understand, analyze and compare as a whole unit. 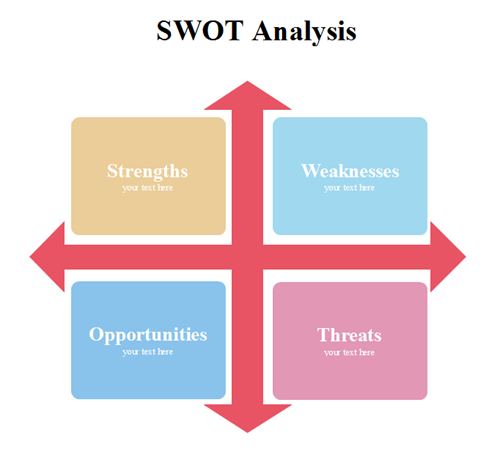 This page provides a series of SWOT diagram templates which you can use for business planning, strategic planning, marketing, business and product development. Find different types of SWOT design styles to fit your industry to leave a lasting impression. 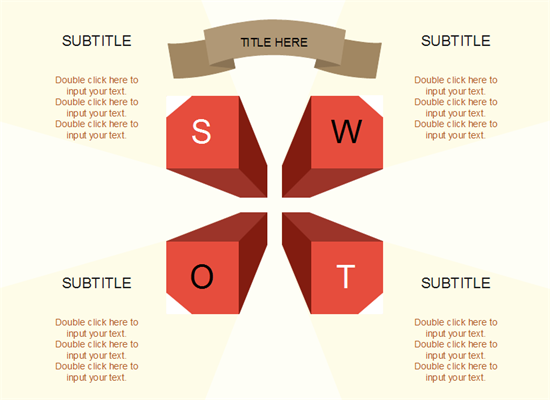 The first SWOT template is designed in an artistical way. The blur background makes the foreground content clear and highlighted, which is engaging and eye pleasing. It will surely catch the audiences' eyes and impress them deeply. Click the picture to download the editable file and take use of this template with your own content. This company SWOT template is very popular as the style is formal and striking. Click the picture to switch to the download page, and you are able to download both PDF and EDDX version. Through Edraw, the EDDX version could be modified. 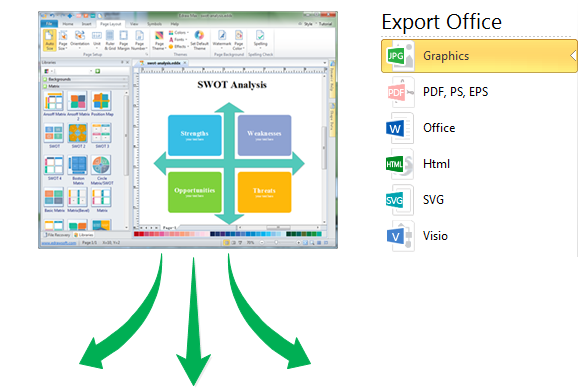 If you need other formats like Word or PPT, just convert from the EDDX version. 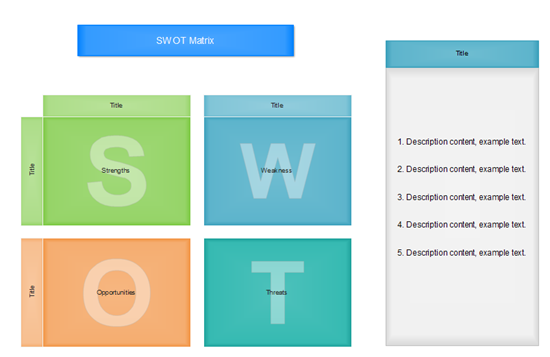 If you're tired of wasting hours trying to design a SWOT diagram, this SWOT matrix template may help. 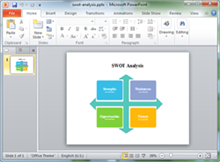 In Edraw, there are more blank SWOT templates, and many other diagrams such as mind map, flowchart, are available too, which you can add in your SWOT presentation. 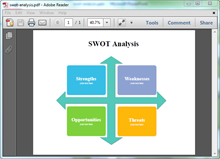 You will love this easy-to-use SWOT analysis template for your business planning and marketing. Download the EDDX file and with a single click you can transfer the file to PPTX, DOCX or PDF file.